​Tired of looking or "Smelling" your pond or water feature? When was the last time it was cleaned? Can't remember? Time for a good cleaning! If you're looking for someone to clean your Macomb, Wayne, & Oakland County, (MI) Michigan & Metro Detroit area pond, water feature, you're in the right spot. 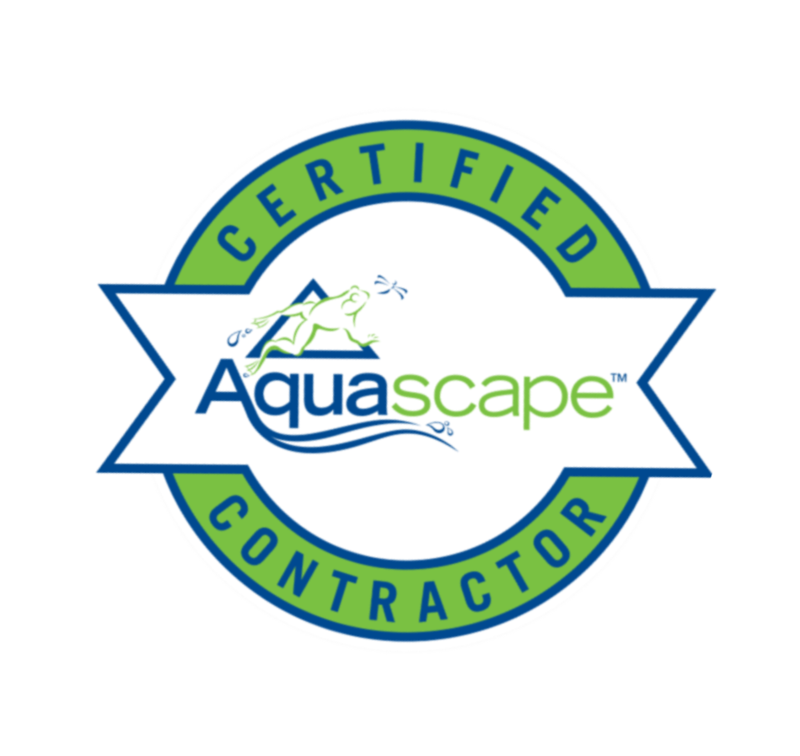 Pondering Waters is a Qualified Certified Aquascape Contractor and has the experience needed to clean your water feature to keep it running correctly, and looking it's best all season. Pondering Waters can help you realize that potential, offering outdoor enhancements ranging from fire features to to full blown ecosystem ponds and waterfalls. We know the importance of adding more space and of having an inviting yard for entertaining, playtime and relaxation. We hope you’ll give us the opportunity to work with you to develop your water features so it further reflects who you are when living the water feature lifestyle. Does your fish pond need a full spring pond cleaning this season or does it just need to be tidied up a little? There are a couple of things that you can look for to help you decide. First, if there is a layer of “crud” at the bottom of the pond and the water is dark in color, it would be a good idea to do a full pond drain and clean-out. On the other hand, if there is just a small amount of debris that you can stir up and capture with a net and the water looks clear, a little tidying up is all that’s in order and a spring start-up will suffice. Either way if you live in our service areas of St. Clair Shores, Macomb-Oakland County, or Metro Detroit surrounding areas contact us to do it right. Each spring we contact our customers for Spring Clean-Outs. When we get to the job site we begin to drain the pond, fill the fish storing tank or tanks and remove any fish. We store the fish in a live well to be protected during cleaning. Once the pond is empty, we power wash the pond and pump out the dirty water. We do not power wash all the algae off because some algae on rocks will prove beneficial in developing your pond’s ecosystem. When the pond is cleaned, we clean all the filter pads, the skimmer box and the biofalls, and then we connect the pumps or fountains. Next we begin to filling the pond and add chlorine-chloramine remover. The last step is to properly acclimate the fish to get them ready to put back in We do this by using the old pond water from the live well and putting a few inches of water in a fish display container and let the container with the fish float in your pond. After fifteen minutes we periodically begin adding small amounts of new pond water to the container to get the temperature of the water in the container the same as the water in the pond. This will be less stressful to the fish. Before we leave we turn on the hose on a trickle and let the pond fill while you are at work we do this because it can become costly to our home owners for us to stay and sit around and wait for the pond to fill. The last and most important step we do is before we leave we spray down all our equipment with bleach and rinse very well and we do this just in case the pond we were at had a parasite or any other diseases are not transferred to the next job we are going to. Remember you don’t always need to do a spring clean-out every year it just depends on how well the pond was maintained in the fall and winter months.